Don't you just love those toys that teach? 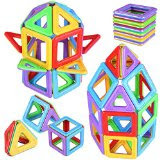 Toys that encourage creativity, STEM learning (Science, Tech, Engineering & Math), social interaction and motor skills…. Yeah, I could buy my kids Shopkins (and I have) but here are just a few of my favourite teaching toys! And I love that they are unisex too. One of my favourites, you know I like you if I get your kid magnaformers…. It's an investment piece but my kids play with them again… again…. and again. It's the first toy kids (of many ages) pull out when they come over too. 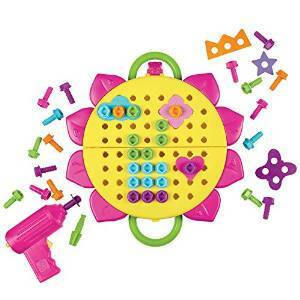 This toy encourages creativity and stimulation second to none. I bought this for my nephew this year but the ratings are just as good so we're hoping they will be as popular as the magnaformers with our crew! Yet another popular one in our house. It's a better price point than the magnetic toys though but once again. Another one encouraging creativity and igniting imagination. Even the bigger kids get into this one. I can't speak to this one just yet as I've bought it for my three year old but it's supposed to be a wonderful intro to STEM learning for the little ones! The reviews are fantastic and it's not a bad price point. We got Cassia a play kitchen when she was two and it's one of the most popular toys in our repetoire. Especially when kids come over! The social interaction is great and the conversations are hilarious. My friend Jenn got them this set of 'real' appliances last year and it's the most fought over sought over toy around. So there you have it! Just a few of the favourites in this house! PS. Books and board games are always in demand around here too. What are your favourite teaching toys for your little ones? Happy to be sharing this post at the Blended Blog today! No kids here, but yes to all of these!! I believe in toys that teach or require imagination! No electronic/screen toys from me!! ;) I love board games too! I got Magformers for Mila for Christmas and I'm excited to see how she likes them! Those are all GREAT ideas! I am remembering these! What fabulous gift ideas, and so great for this time of year when kids get so much. Saving this for my nephews. You are speaking to my preschool teacher heart right now! 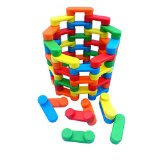 LOVE educational toys! love all of these ideas, going to have to check them out for my 2.5 year old! I have heard such great things about the Magnaformers! Kids seem to love them! We have always been HUGE Magformer fans but that design drill is SO cool. Going to check that out right now.